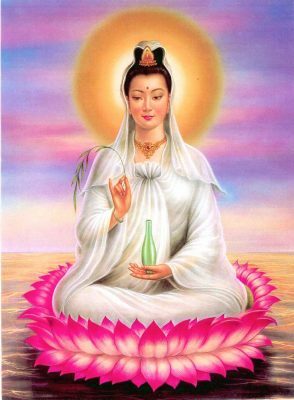 Karuna Reiki® is not a substitute for Usui Reiki but rather the next step. The Karuna Reiki® system was developed by William Lee Rand and other healers in the International Center for Reiki Training (Southfield, Michigan). Karuna is a Sanskrit word meaning “compassionate action” or any action that is taken to diminish the suffering of others. Therefore, it is natural to extend compassionate action or Karuna to everyone without distinction because we are all one. As we help others and aid them in their healing process, all beings benefit. Because of the oneness of all beings, it is understood that Karuna is not only extended to others out of love, but also because it is an entirely logical thing to do. In the same way that you would want to heal your own wounds, you would also want the wounds of others to heal. Karuna is the motivating quality of all enlightened beings who are working to end suffering on Earth. They continually send an unlimited amount of healing energy and guidance to us, but not all are receptive to it. As you develop Karuna in yourself, not only are you helping others, but you also become more receptive to the Karuna that is being sent by all enlightened beings. Thus your healing is quickened as well. Karuna Reiki® opens you to work closely with all enlightened beings. This includes those enlightened ones who are physically present as well as those in spirit. There are three levels in Karuna Reiki®. Level I is open to those who have Reiki Level III, Advanced or Master. Level II is open to those who have Karuna Reiki® Level One. And Level III is open to those who have Usui Reiki Master Teacher and Karuna Reiki® Levels I and II. You will learn the methods of teaching Karuna Reiki®. Your certificate will have a Karuna Reiki® Master registration number. When you decide to teach, you will be able to register as a Karuna Reiki® Master with the International center for Reiki training using your registration number. You will learn the minimum teaching requirements for Karuna Reiki® and Registration form for The International Center for Reiki Training. Fee includes a course manual and Karuna Reiki® Master Teacher certificate upon completion. You must have attained Usui Reiki Master Teacher and Karuna Reiki® Levels I and II. You must provide a copy of your certificates when registering for this class, if you did not receive them from Diane Hauschild or Carol Righton. Copies of your Usui Reiki Master Teacher and Karuna Reiki® Level I and II certificates, if applicable. Please see course prerequisite.